TweakBox app is a new Jailbreak alternative for iPhone and iPad. While most people have been able to use TweakBox app with no trouble, some TweakBox users have been reporting an error message popping up when they try to use the app. The error message reads, “Untrusted Enterprise Developer” and it is not just happening on TweakBox. Why Untrusted Developer Errors Happen? 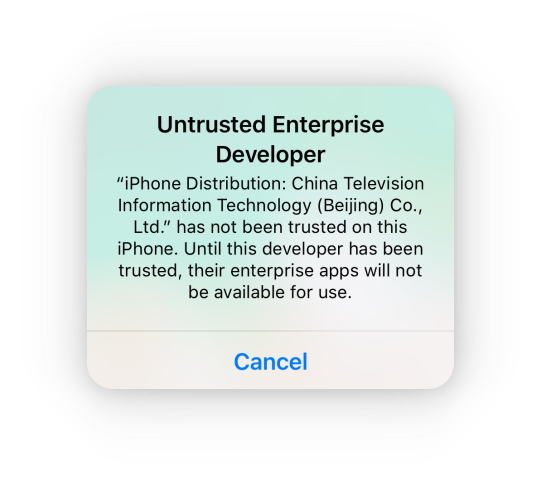 The Untrusted Enterprise Developer error message happens when an app is downloaded from outside the iOS app store, usually sideloaded using Cydia Impactor or installed from external sources. These are apps that do not pass Apple’s inspection but, in spite of this, they are perfectly safe to use. Apple merely warns users that the certificate is not trusted and the app cannot be run until it is. Fixing this is very easy, read on for more details. Close Settings, go back to your home screen and double-tap the icon to use the app – you should be able to use it with no irritating popup warning. 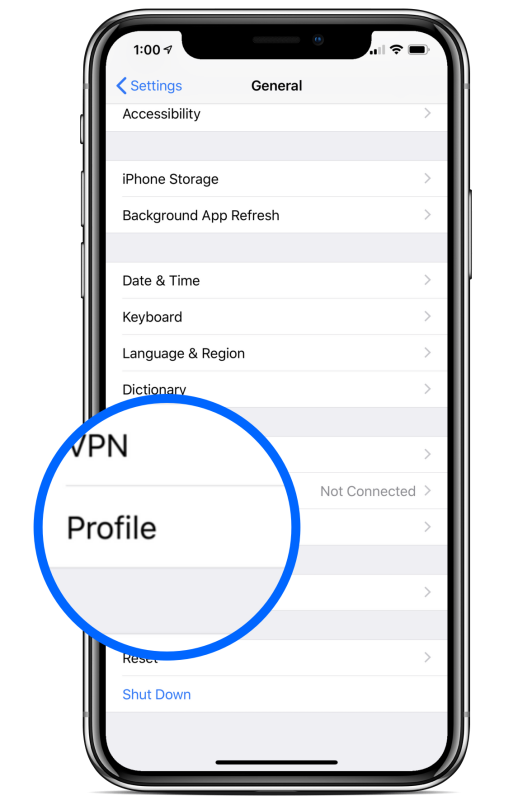 As an aside, some people have said that they cannot find the profile in their Settings app. If it isn’t there, there is only one reason why Tweak Box was not installed correctly in the first place. Install TweakBox again by following the download tutorial, then follow the above steps again. You should see the profile and can take the steps needed to trust it and use Tweak Box for as long as you want. Do let us know how you get on with fixing the Untrusted Enterprise Developer error or if you have come across any other issues with using Tweak Box. You can get all the latest news and updates by following us on Facebook. Hey peeps, I can’t seem to download the Spotify ++ app – I have followed all the steps and also tried reinstalling, it keeps showing an untrusted enterprise developer msg when I tap on how to install. TweakBox is correctly installed on my phone but when I go to settings on my iPhone there is no trust msg to confirm in the TweakBox profile. ???? I can’t seem to get around the problem. Any help? then delete the profile and redownload tweakbox app followed with spotify ++ app. hi , we understand your issue. please try now again. When i download any app. It keeps on showing waiting / loading. I tried to see if it needed any permission from Settings > general > profile. But nothing comes up there too. I have been unable to use tweakbox since i updated my iphone to the new ios. our apps certificate got revoked. we are restoring to fix it. I have read that all the certificates do not work anymore?! I tried multiple sites and the same thing happened. Untrusted developer or the app would just quit working or not download at all. When will there be a new usable certificate ?In the mean time are there any other sources to use instead of tweekbox or a different method? please wait a while we fix the certificate issue on our servers. Any other methods or sources to use until that happens? hi, yes, you can try TweakBox Alternatives.